At CCE we can perform our own assessment of your language proficiency. You can register for the TESOL certificate program at CCE upon passing the assessment (you must request the assessment), however, if you apply for official certification from TESL Canada, at then you will need to demonstrate to TESL Canada that you satisfy the language proficiency requirement by presenting official and current results from one of the exams listed on the chart. 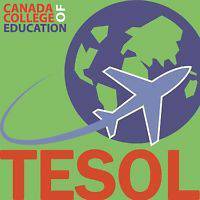 The language assessment performed by CCE will NOT qualify as meeting this language requirement for TESL Canada.